I'm probably the weird guy here, especially given that I really enjoy orange vapes, but I don't like this :| I find this taste really on the "chemical" side. I tried it both as SNV and after one week. One of the only orange vapes that I really enjoy. A little harsh (possibly due to FW Blood Orange??) but the flavor is too damn good for me to not give this 5 stars. best orange vape to date ! its now in rotation 5 stars. All of Vurve's recipes are legit AF, no exception here. I personally have a hard time chain vaping strong fruit flavors, so I wanted to mention here that if I were making this again, I would probably drop the Blood Orange/Orange Cream/Tangerine percentages down a little. That is a personal preference thing only, though, because this recipe tastes like the real deal. This is fantastic. I can tell you put some serious work into it, and it paid off big time! It's a really great recipe. This stuff is amazing. Part of my rotation now. Great job! 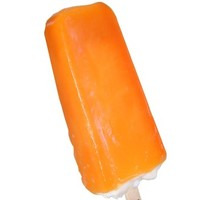 Spot on Dreamsicle! Left out the Koolada and subbed VBIC for FW VBIC (pepperitis) and it's absolutely fantastic! When I took my first vape of this I could truly tell the amount of time and effort it took to prefect this! Absolute perfection my friend! Vurve this juice is wonderful! I used double koolada because Im a koolada junkie and I'll definitely add this to my rotation. Thanks for creating this awesome juice. Fantastic recipe. By far the best orange cream I've had. Great as a S&V but a steep really does meld everything together.